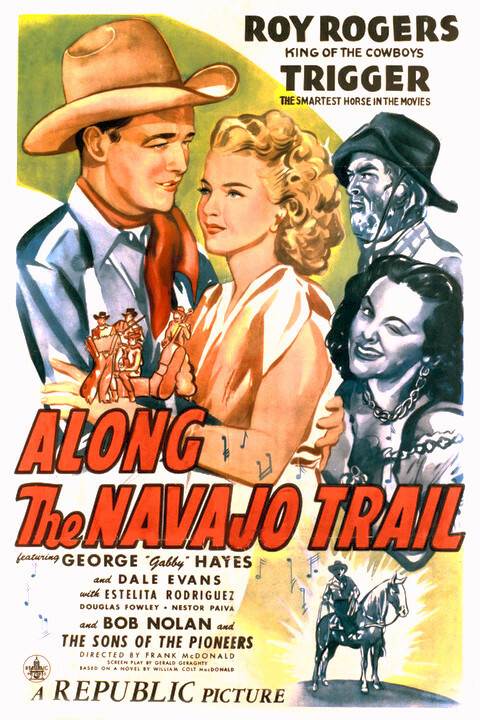 Along the Navajo Trail is a 1945 American western film directed by Frank McDonald and starring Roy Rogers, George 'Gabby' Hayes and Dale Evans. The film's story was based on a William Colt MacDonald novel. The film marked the debut of the Cuban actress Estelita Rodriguez, who Republic Pictures then began to build up into a star. 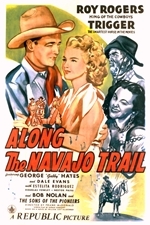 Its title song is Along the Navajo Trail, an instrumental version of which appears with the opening credits, with a brief vocal version during the last twenty seconds of the film. The first few bars of the song are used as background music in several chase scenes.